Rough, sharpen, and polish high-speed steel or carbide gravers faster with the GraverHone VS. This variable speed hone features high torque with an American-made motor. Each spindle and drive plate are individually qualified parallel to the top surface of each GraverHone. This extra step ensures that each unit is in proper alignment for the most repeatable grinds every time. 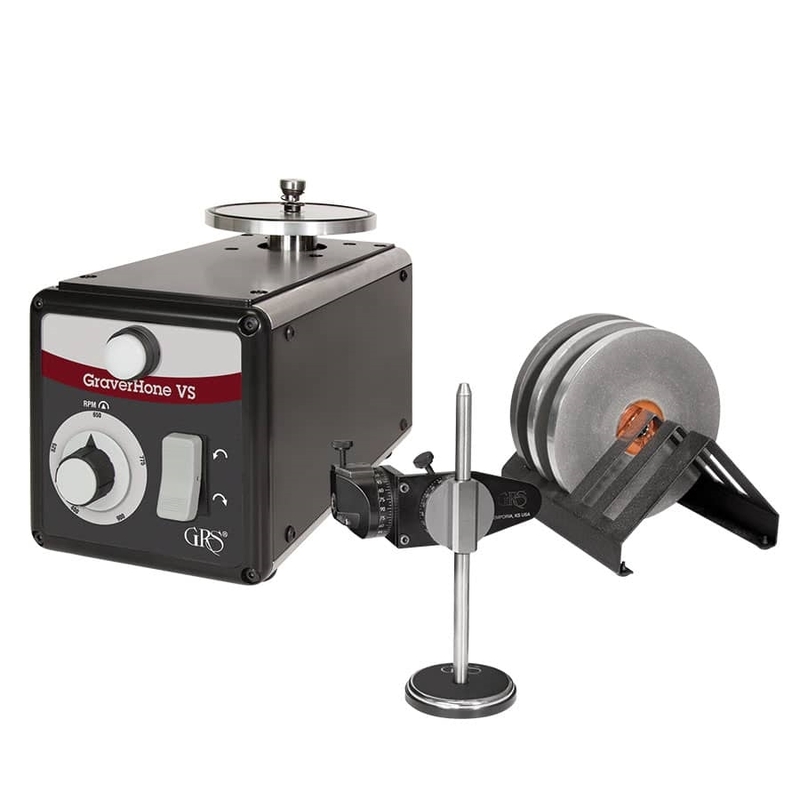 The Dual Angle Sharpening Fixture, included in this package, is the most well-rounded fixture on the market for achieving any graver geometry desired.